Bad Breath? We need to take a closer look! 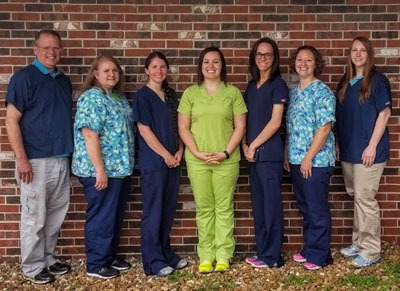 Lincoln Land Animal Clinic is a large and small animal veterinary practice located in Jacksonville, Illinois. We provide care for companion animals such as cats, dogs, and some pocket pets and large animal such as cattle, horses, pigs, goats, llamas, and more! Your pet is important to us, and we care for every pet as if they were our own. We provide the highest standard of care during each stage of your pet’s life and emphasize growth, preventative care, and senior wellness. We approach care through the eyes of our patients. Our team is Fear-Free Certified [TM], and we use our skills to create a compassionate and stress-free environment for you and your pet. In addition to our utilization of low-stress and Fear Free handling techniques, we offer veterinary behavior consultations and behavior modification. We hope to enrich the bond our clients have with their pets by helping them with basic life skills, manners, destructive behaviors, separation anxiety, aggression, and other problematic behaviors. We are also excited to announce that we are building a new clinic! Please take advantage of the educational resources we have provided on our website. If you would like to learn more about our team, you can read all About Us here. You can also see the wide range of Veterinary Services we offer to care for your pet. If you want Additional Information - click here for general questions, and surgical and dental information. Visit our Featured Articles for the latest pet news. Our Pet Library is the most trusted source for veterinary information available on the internet. We are in the process of creating a Video Library. 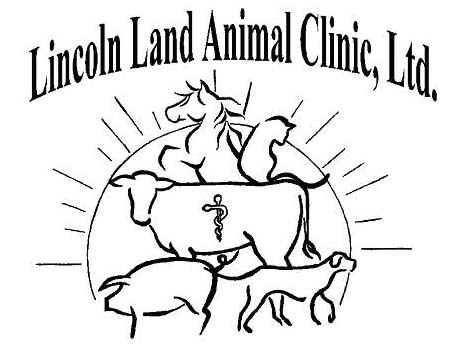 Lincoln Land Animal Clinic, Ltd.